Description: Morgan (Anya Taylor-Joy) is a bioengineered child who began walking and talking after one month of existence, exceeding the wildest expectations of her creators. 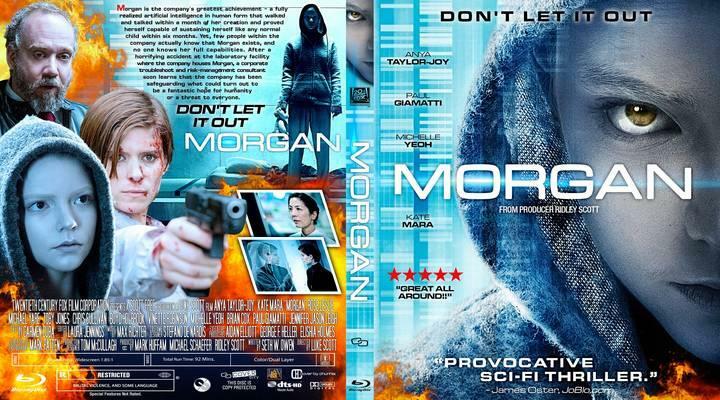 When Morgan attacks one of her handlers, a corporate troubleshooter (Kate Mara) visits the remote, top-secret facility where she's kept to assess the risks of keeping her alive. When the girl breaks free and starts running amok, the staff members find themselves in a dangerous lockdown with an unpredictable and violent synthetic human.